Nick’s Note: Regular readers know Jeff Brown as a Silicon Valley insider with the inside track on the biggest technology trends before they hit the front pages. He’s also the man who pinpointed the best-performing stocks of 2016 and 2018. So when Jeff unearths a big story, we share it with Daily readers. 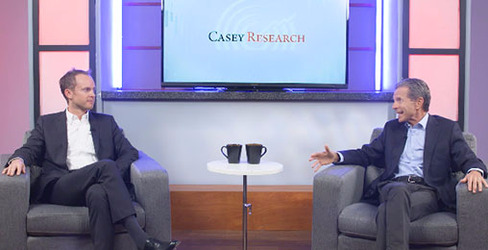 ONLY HOURS REMAIN: Claim a Year of E.B.’s Investment Research for FREE! You still have time to grab our best deal ever, but it’s getting down to the wire. Today we expect to witness the unofficial end of America’s third prohibition. 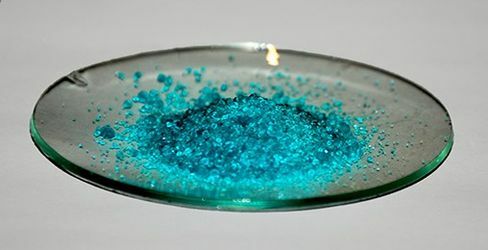 The floodgates are now open and this industry could soar from basically $0 to potentially $400 billion in a matter of years. Act now to get E.B.’s top three recommendations on companies he believes could take the lion’s share of the profits. It wasn’t pretty. 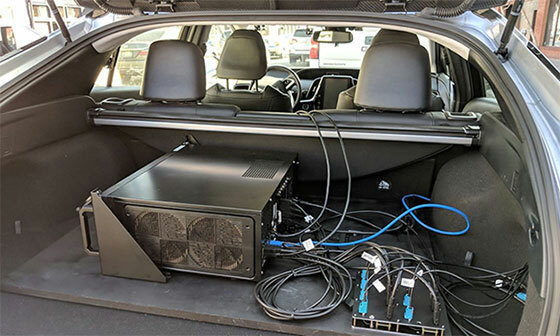 The outside of the car was laden with large sensors, and the inside was packed front-to-back with computing equipment. There was barely enough room for someone to sit in the driver’s seat. But only seven years later, the technology has progressed immensely. So what was the technology that enabled the self-driving Prius to make its cross-country trip? After all, it looked just like any other car. This black box is the key. It makes use of a special type of software that’s an essential part of self-driving cars. I’m talking about artificial intelligence, or AI. Contained within that black box was an advanced system powerful enough to take in the data from the Prius’ cameras… use AI to analyze that data… and drive the car and passenger coast-to-coast safely. At this point, you may be wondering what AI has to do with self-driving cars. But you see, the way autonomous cars will become dependable enough to function on public roads is through the use of AI. AI is what will ultimately bring self-driving cars to the masses. Have you ever purchased something by communicating with Amazon Echo (Alexa)? If you’ve done any of these things, you’ve already used AI. All of these devices and services make use of AI. According to a November 2018 survey from McKinsey & Company, 47% of surveyed companies said they’d begun implementing AI into their businesses. In 2017, that figure was only 20%. And according to a recent study by MIT’s Sloan Management Review, 85% of companies think AI will offer a competitive advantage. There will soon come a time when AI won’t just be advantageous to companies—it’ll be a necessity. In the next few years, a company that fails to adapt AI into its business model will be akin to a company that doesn’t use the internet today. It will become obsolete. You get an idea of just how essential AI is becoming to corporations by looking at the amount of money companies are willing to pay to acquire AI start-ups. Admittedly, 2017 was a bit of an outlier year due to Intel’s $15.3 billion acquisition of Mobileye. Mobileye is a major player in autonomous driving technology. And it uses ML for advanced driver assistance systems (ADAS), a precursor to self-driving cars. 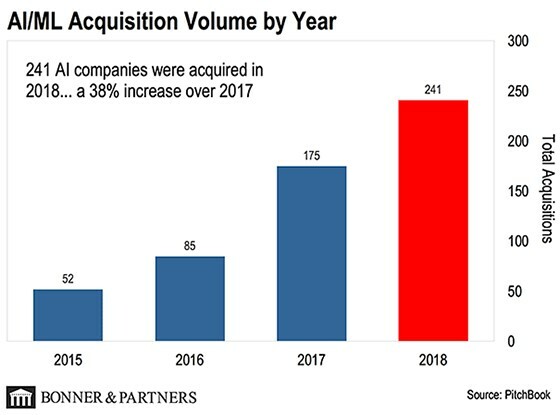 In 2018, we saw 241 individual acquisitions of AI/ML companies. That’s a 38% increase compared to 2017—and a nearly 5x increase since 2015. I say that this is a stronger indication of activity because it’s a relatively new industry. 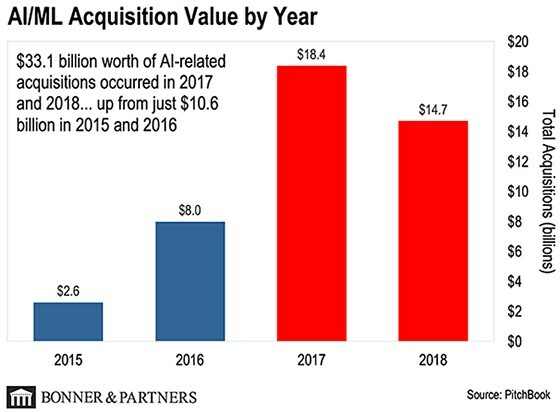 There just aren’t that many large, $15 billion AI companies around to acquire. Most of the activity is in smaller, early stage companies that haven’t reached anywhere near $1 billion-plus valuations. That means that incumbent technology companies that want access to AI technology and teams of engineers must go out and acquire these smaller companies. We’ve reached an inflection point with this technology. And we’re on the cusp of explosive growth. Few realize it, but in a matter of a couple years, AI will be as commonplace as the internet. We’ll look back and wonder how we got along without it. P.S. There’s another part of this story that I wasn’t able to include above. As I mentioned, AI will change our society just like the internet did two decades ago—and smart investors will make a fortune. But before AI and self-driving cars can go mainstream, one more piece of tech needs to be completed. 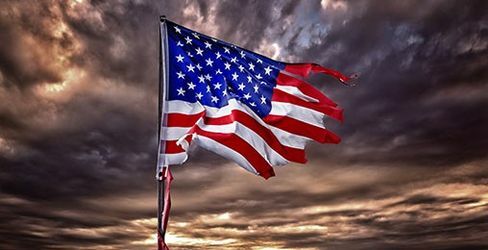 It’s not an exaggeration to say that the future of America’s economic dominance depends on it. Get the full story—and learn why this tech will be the biggest investment story of 2019—by watching this special presentation I just released. 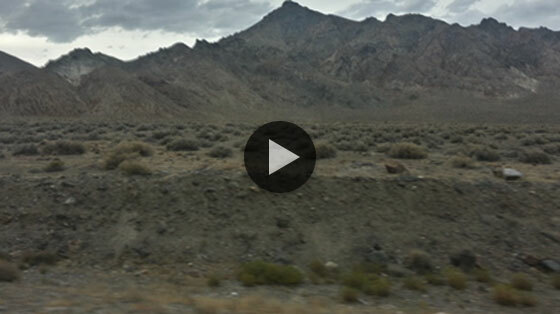 This patch of sun-scorched desert in northwest Nevada is 30 miles from the nearest main road. There’s no water or shade… just scrubby sagebrush and a few jackrabbits.